Tell us a little about Hamilton Cannagar. 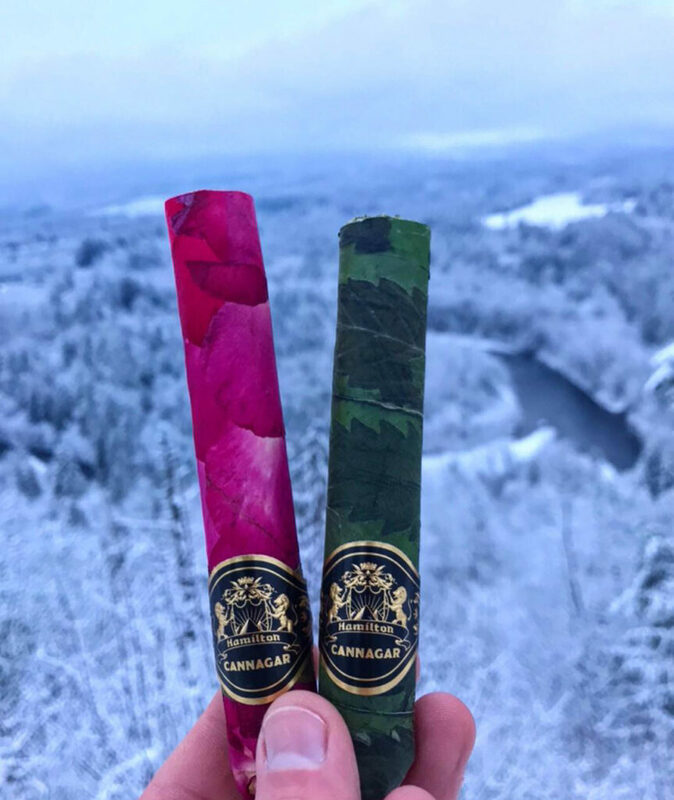 Hamilton Cannagar was founded by Joshua Hamilton in November of 2016. We began recreational sales in Oregon partnered with Bull Run Craft Cannabis June of 2018. 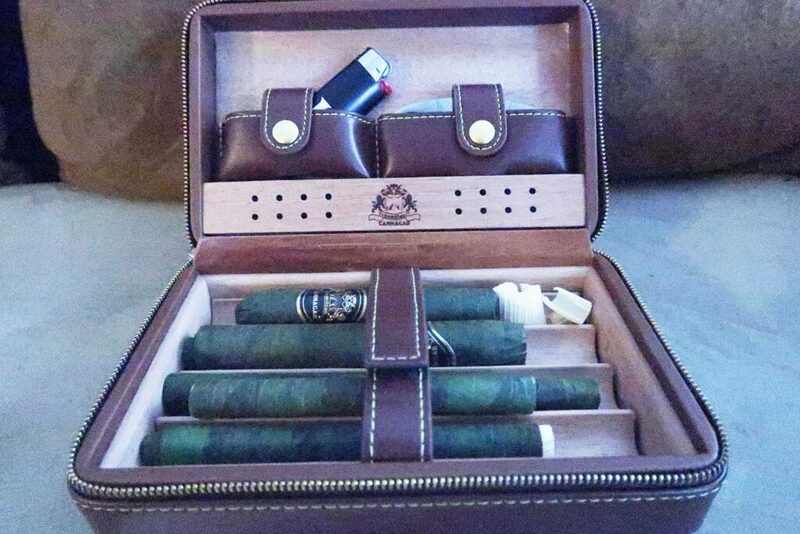 We are a small team of skilled rollers who take pride in crafting the highest quality cannabis cigars and shells. How do you define a cannagar? Believe it or not, even among cannagar rollers there is some debate as to what constitutes a cannagar versus a “gar” or “hempgar”. In my opinion a cannagar is a 100% cannabis pre-roll – that is wrapped in cannabis leaves – NOT hemp papers. I don’t think you have to use oil, I personally prefer them without because they burn cooler and are more manageable as a personal smoke in terms of total THC content. 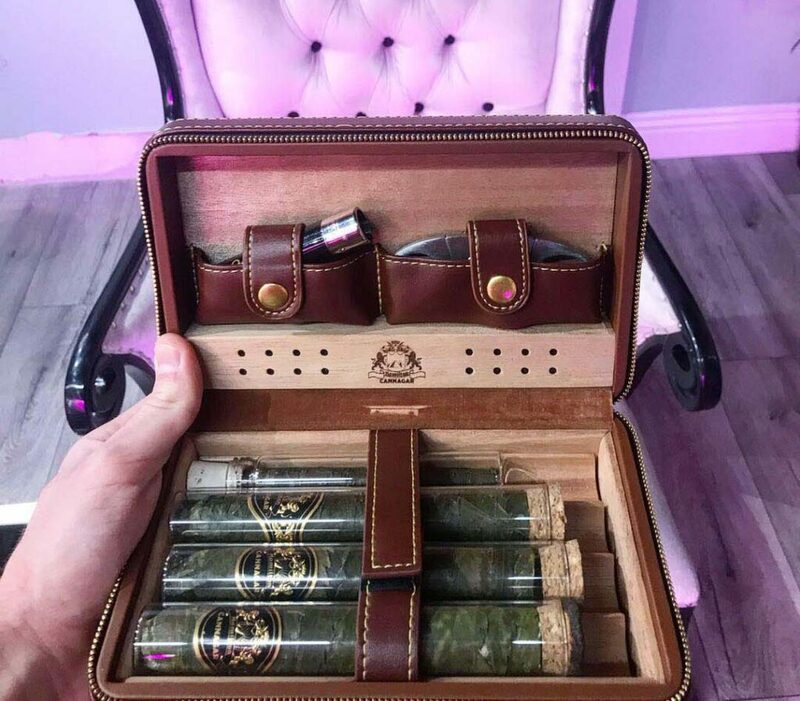 We also carry hemp filled cannagars that contain less than 0.3% THC – infused with terpenes, these cannagars are meant to be used more as traditional cigars, not passed around and while still moderately intoxicating anyone could go about their day after consuming. 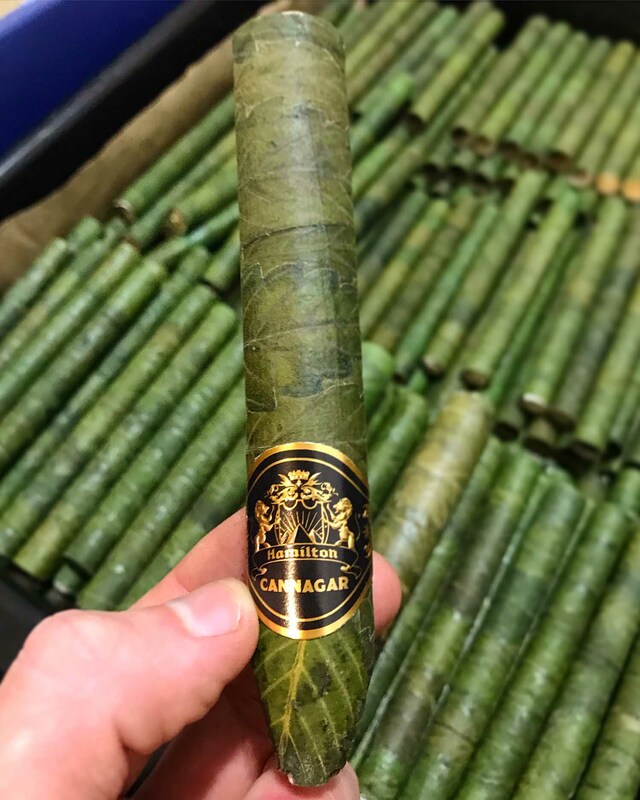 How does a cannagar differ from a traditional cigar in overall experience? Weighing up to ten grams some cannabis cigars are exclusively consumed by high-volume smokers or at events/parties. 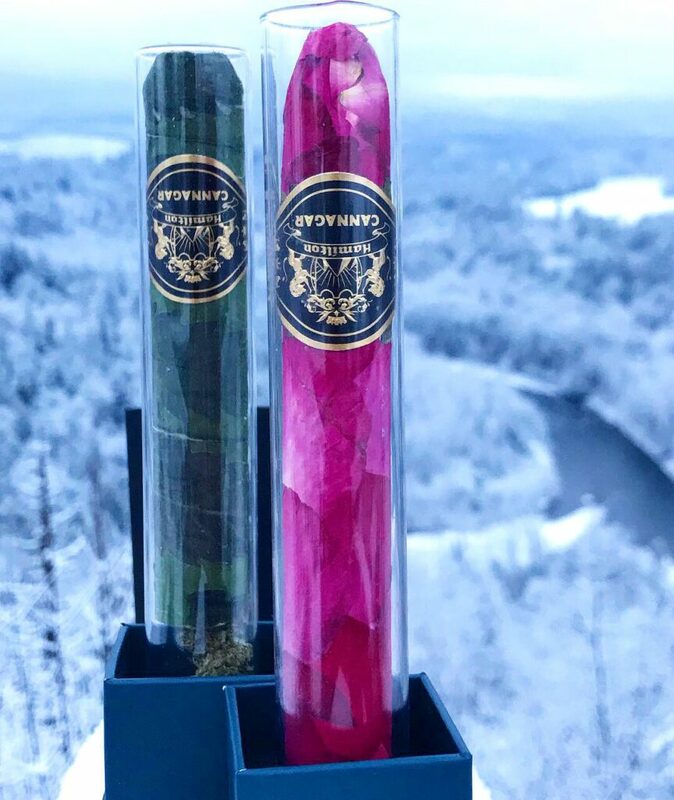 A cigar smoker could certainly enjoy the flavors and quality of smoke a THC free hemp cannagar has to offer, but anyone who doesn’t consume cannabis regularly would be at odds with a large cannagar! 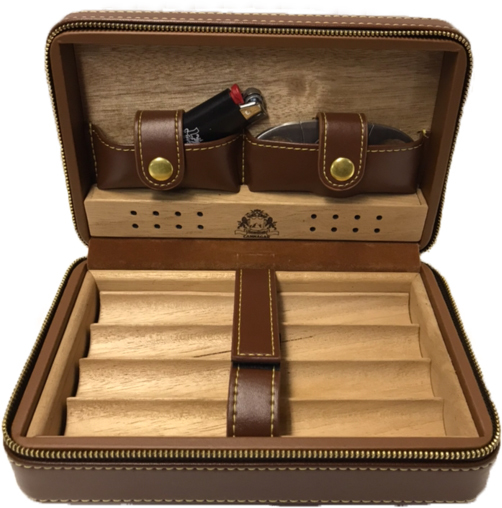 How are Hamilton Cannagars unique in regards to rolling techniques and product inside? We do not use a skewer in any of our cannagars, instead we make a cannabis leaf shell and then load it with ground product. In Oregon we use organically grown Bull Run Craft Cannabis. We picked BRCC because they have the best tasting weed on the block haha. Loading a shell ensures the flower is fresh and avoids the chance of growing mold when in contact with wet leaves (as performed in the traditional thai-stick skewer method). How long does it take to burn the typical cannagar, and how much product is in each? 2 gram cannagars can be smoked in as little as 15 minutes if everyone puts in their best effort. Larger cannagars with oil can easily burn for 2 hours with a massive crowd. Similar to cigars it is all about the style and intent! How is a cannagar supposed to be smoked, and do we use the same lighting and cutting techniques as a cigar? Even though we included clippers with your kit you won’t need them! 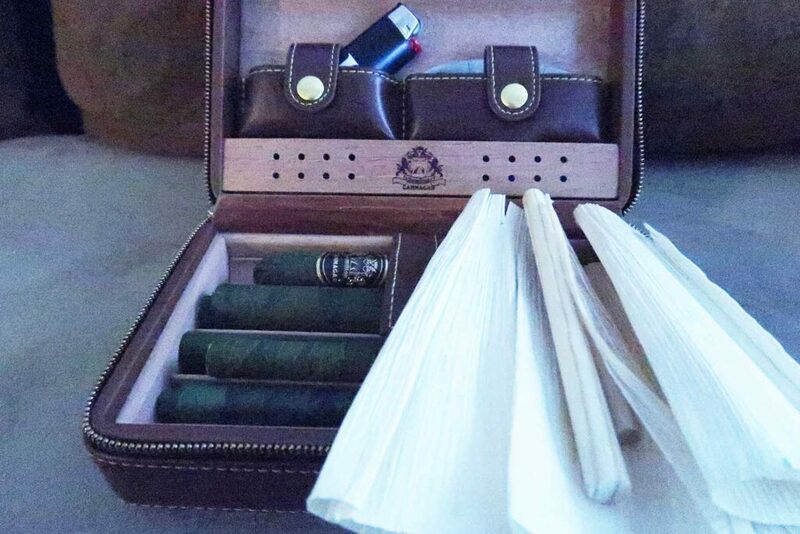 Unlike a cigar – after you pack you shells lighting them is super easy. Just rotate it while lighting from a distance and puffing – repeat – and it’ll be lit in no time. What if we need to take a break half way? Can we relight our cannagar? You can cut it or let it go out – Do not “snuff” if out that causes a loss in flavor. What is the proper cannagar storage in regards to humidity and temperature etc? Great question! I believe it to be 65% at 62 F.
What does Hamilton Cannagar do differently than other cannagar companies on the market? The absence of the skewer improves flavor and eliminates the hot spot associated with traditional cannagars. While in the R&D phase I once shared a competitors cannagar and one of mine on a smoking tour bus to get feed back. The number one thing people brought up was the chance of burning your lips. This is why a lot of cannagar companies elect to using a wooden mouthpiece – but while that may prevent the smoke from burning you – it DOES NOT undo the terpene destruction that took place by super heating the smoke. 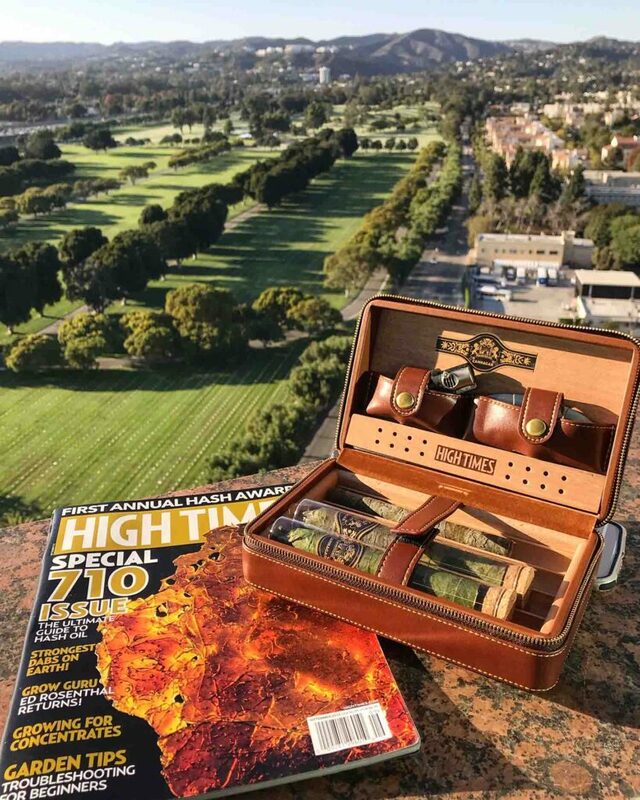 Cannagars really are perfect for any occasion – whether you are kicking it and want to get 5 people blitzed or you want to enjoy a flavorful THC free cannagar while golfing. Can you go into detail why curing is important and how the process changes an unsavory taste into the desirable end product Hamilton Cannagar offers? Curing cannabis is similar to curing any other product. Most industries don’t call it curing – but instead.. storage. Decomposition is a game of time, similar to leaching harsh ammonia from tobacco. Without removing Ammonia from tobacco your leaf is unsmokeable – chlorophyll is cannabis’s ammonia, it is a hash smoking dark green molecule. By removing the vast majority of chlorophyll you make the leaves more yellow/ brown instead of bright or dark green. How important is the quality of the product we use inside our personally rolled cannagar and can I use any type of extract additions I want? Is there any type of extracts that we should stay away from adding to our personally rolled cannagar? There is nothing else that matters besides the quality of the flower! The shell will guarantee and even burn and incredible aroma – but flavor comes from flower – or oil! We also have a terpene infused shell but are working that one out! Cannagar shells bring the rolling experience to the homes of Calgarians. Can you expand on exactly what cannagar shells are, how they are used and what they are made out of? Cannabis leaves with a corn husk filter! 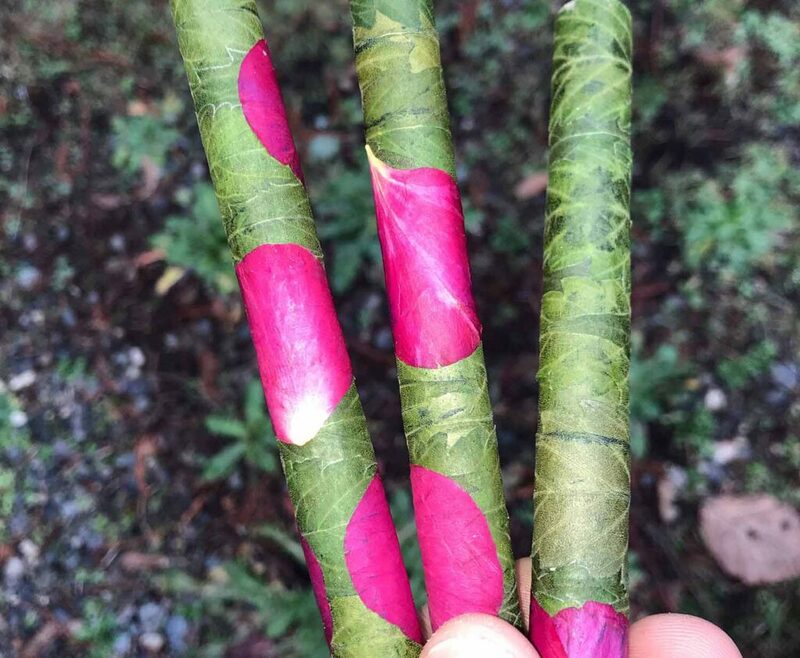 They are made with ODA hemp so they are legal for international trade and can be filled at their destination meaning anyone can make their own cannagar line – or just enjoy one for them selves. Your team just launched cannagarshells.com, a website completely unique to the community as I haven’t seen any other companies targeting cannagar accessories, can you touch on this and your future plans with the site? We intend on making cannagars easier for everyone to have access to. By the end of the month we will be wholesaling the packaging we use for our cannagars & some more accessories. We aim to make it easier for wholesalers in rec. 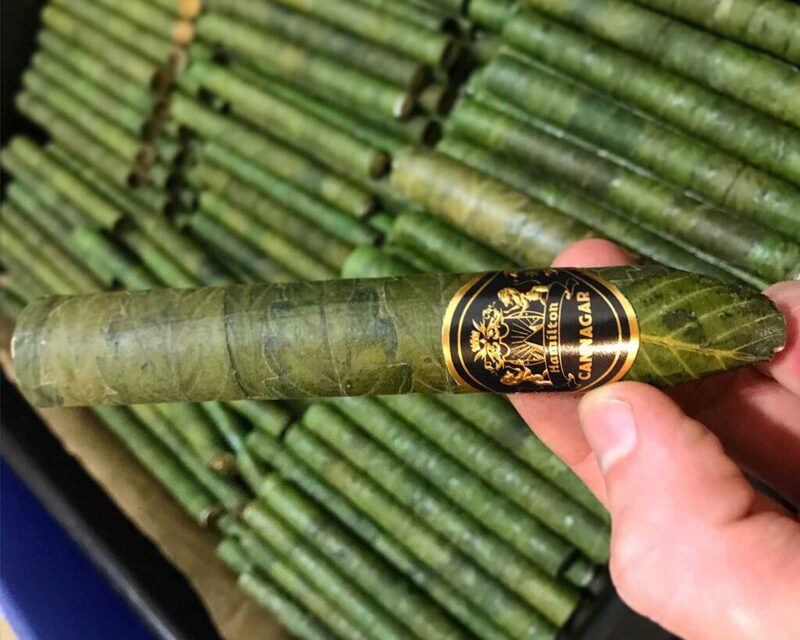 states to brand their own cannagar but also are currently drop shipping directly to consumers either hemp cannagars or shells so they can load their own. What are the cannagar rolling basics? All you gotta do is grind your weed and use the “tap and pack” method to get an even fill! Thank you for reading! If you are storing cannabis, consistency in temperature and humidity is the absolute best way to guarantee an effective storage life/cure. Contest open through 12:00 PM, Wednesday April 10, 2019. Winner announced at 4:20 PM, Wednesday April 10, 2019 on here, Facebook and IG. Likes us on Facebook and IG. Tag a friend you want to share your cannagars with and like & share the pinned contest post on Facebook. Tag a friend you want to share your cannagars with & like the Hamilton Cannagar post on IG. You get an entry for each friend you tag, and time you share, so feel free to keep tagging and sharing. Entries will be added to a spread sheet and the winner will be drawn at random. More entries = more of a chance to win. What Type of Grow Setup is Best for Me In Calgary?